As anyone looking to properly understand London’s transport needs and network knows, context, background and best-practice are important. As readers might imagine, behind the scenes here at LR Towers we thus spend a lot of time sharing links and reading around the subjects we cover here. We also occasionally share links containing good information about transport topics that we know we just don’t have time to cover. We also all, as authors, occasionally write elsewhere on this or tangentially related subjects. This week’s reading list is below. If you’ve got something you feel we should read or include in a future list, don’t forget to email us at [email protected]. I’ve actually travelled on the ‘low-price, eco-friendly, crowd-funded vintage train’, Locomore, already. It really is one of the best trains I’ve ever travelled on, it’s cheap (€13 for the three-hour journey Kassel to Berlin), it has free Wifi (revolution in Germany), it runs on high-speed lines, the staff is much nicer than on ICE trains, the food is quite funny, you can open the window and you have compartments. I love it. How long (excepting Chiltern’s very effective competition in the Brum-London market, before we get a “Locomore” here? The article on cycling’s “culture” is deeply depressing & very unsurprising, I’m afraid. The phrase: “Lycra Lout” seems to fit, all too well, with the macho attitudes. I like Jarrett Walker’s take on transit ferry principles. He’s a professional transit planner, and he’s distilled and transposed transit principles to water services. Like anything in transit, London’s River Buses are a bit of a hybrid case, with a cross-river shuttle (RB4 Rotherhithe – Canary Wharf), with the remaining routes along river, focusing on different markets (commuters, tourists, and both). Under a policy approved this month by the Metropolitan Transportation Authority, the name of practically every part of Los Angeles County’s sprawling transit system will be up for sale, from train stations and bus lines to maintenance facilities, ticketing machines and parking garages. Can it be worse than XR2 becoming the Willy Line ? The Hotspur offer was derisory, barely covering the labelling which was the basis for the pitch. The name Maiden Lane means nothing to tube users. Once Googleplex opens then KngsX Devt & Google could jointly fund the construction and operation of a reinstated station at Maiden Lane named Google for 50 years. We already have the cover for the opening year’s tube map! The precedent is Stobbart’s “Southend Airport” station. If £40m previously bought a #1 lines platform reversal at Camden Rd then the naming rights should get us most of the way here. Careful contracts would avoid an aol or myspace obligation. No defamation, prosecution, prevented from UK operation, meaningful usage for duration, bankruptcy, obsolescence. The corollary that the incumbent would have the right to beat any rival subsequent renewal. Any sponsor would want to associate with a meaningful link. Silicon roundabout could even be shaped into a logo for google maps with a bite on the pedestrian side. Royal Mint already departed for Cardiff and Bank of England is considering decamping to Brum. Anyone for Bitcoin Bank ? No one uses ‘City’ station of W&C. Must be worth 5 pizzas or 2 paintings = £1m in the printed stuff. Anything in TfL’s capex tray that could use £2m ? Originally conceived for micropayments, instead of buying MS Office you would pay for each use hence 1/10p each. Must be worth 5 pizzas or 1/2 DaVinci = £250m in the printed stuff. Anything in TfL’s capex tray that could use £1/2bn ? @ Greg – not a chance of a Locomore in the UK. Look at the various attempts to launch “competing” services as open access and how many have ended up with the big groups like Arriva or First. All of them I think it is fair to say. Other proposals such as extra services on the WCML and First’s express from London to Edinburgh seem to have stalled or been cancelled umpteen times. The DfT simply cannot afford to have any revenue extraction from franchises that have almost certainly overbid. While it is an ORR decision to allocate train paths there are almost always other dependencies where the DfT have a lot of power (e.g. what money Network Rail gets to fund infrastructure improvements). If you were to be especially mischievous you could probably construct some sort of argument that says the presence of open access operators on the East Coast main line (ECML) has helped destabilise several franchisees on that route. 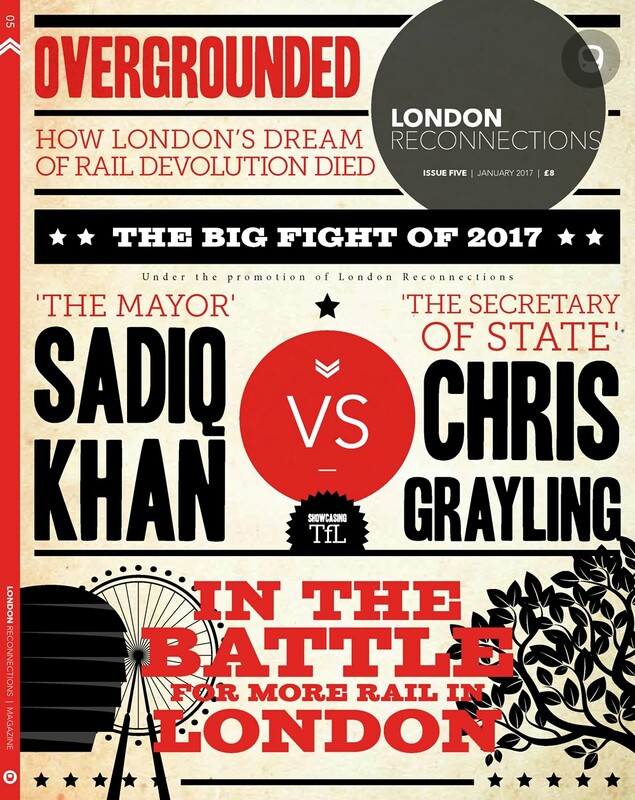 I am not suggesting that is true (I’ve no facts / evidence) but that hasn’t stopped all sorts of lobbyists arguing both sides of the coin about restricting / encouraging “on rail” competition as being “good” for the users of the ECML. London to Birmingham is probably the most sensible “competition” by virtue of there being two distinct routes and a fairly sharp service differentiation between Virgin / LNWR on the WCML tracks. The former London Midland played a decent game in terms of encouraging use of its slower London – Brum trains. Chiltern have the advantage of an investment led long franchise and, in the earlier years. some savvy “old school BR” management that could spot the potential. I thought other “crowdfunded” rail operators had tried to run against state operators in the Netherlands and Germany and they’d failed or else been cut back severely as the money ran out. There are very few examples of new small scale railway businesses being able to take on national operators and succeed even where the regulatory environment may be a bit more welcoming than in the UK. I will leave Switzerland as a notable exception but many of the small railways there are very long established and I suspect have special funding arrangements that permit their survival (that’s a guess – I don’t know / haven’t researched this).